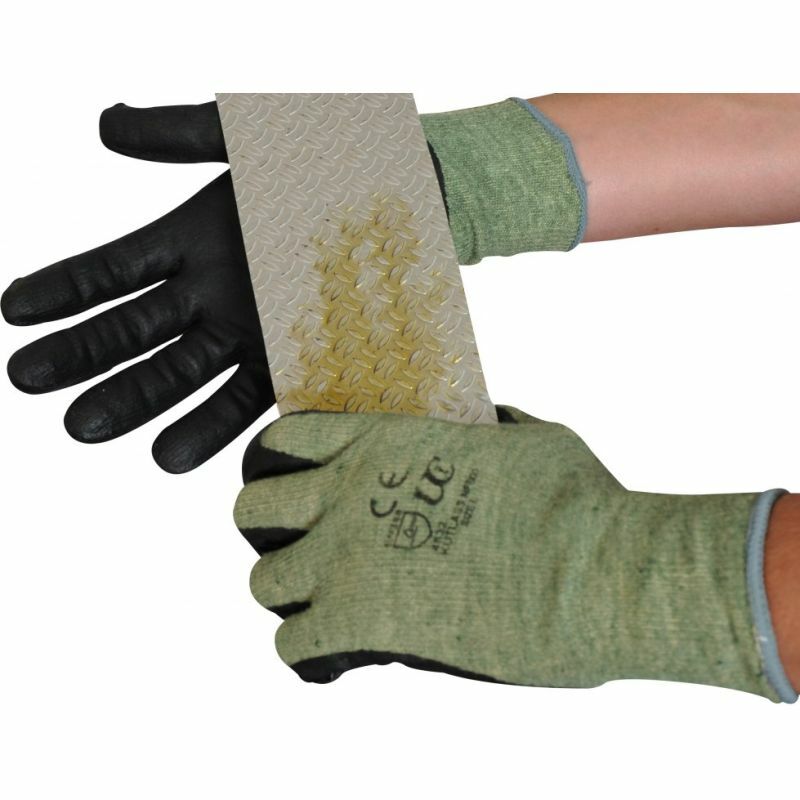 These Kutlass NF800 Cut Resistant Gloves are machine knitted from a mixture of DuPont Kevlar, stainless steel and other blended synthetic yarns to produce a highly cut resistant glove. 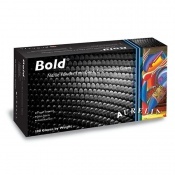 The Nitrile foam coating produces enhanced grip in dry, wet and oily situations. The Kutlass NF800 Cut Resistant Gloves features an elasticated wrist for a secure fit. 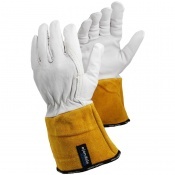 The Kutlass NF800 Cut Resistant Gloves also provides excellent dexterity and durability, accompanied with Sanitized hygiene control to promote freshness and inhibit odours, creates a long lasting, highly cut resistant glove suitable for numerous hazardous applications. 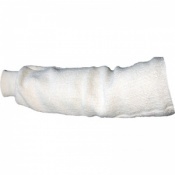 The product code for these gloves is Kutlass-NF800. To find the correct size of gloves for your need, please measure the circumference and length of your hand (n.b. the circumference should be measured around the knuckles without the thumb).